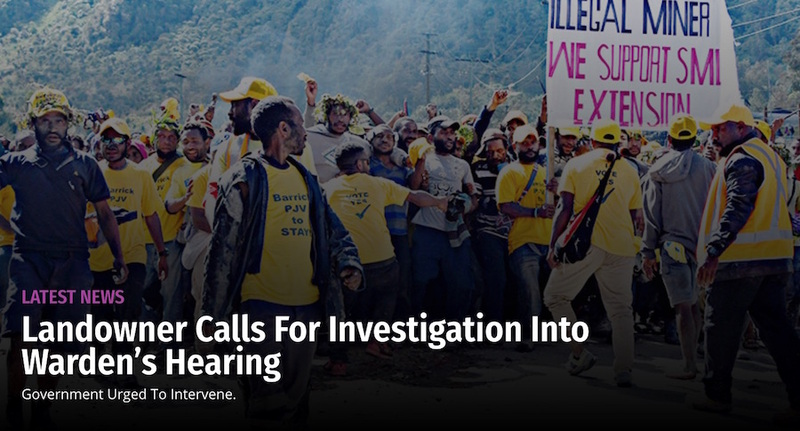 A landowner in Porgera is calling for investigation into the Mining Wardens Hearing held at Paiam Sports Oval in Porgera, Enga Province on Tuesday 2nd April 2019. 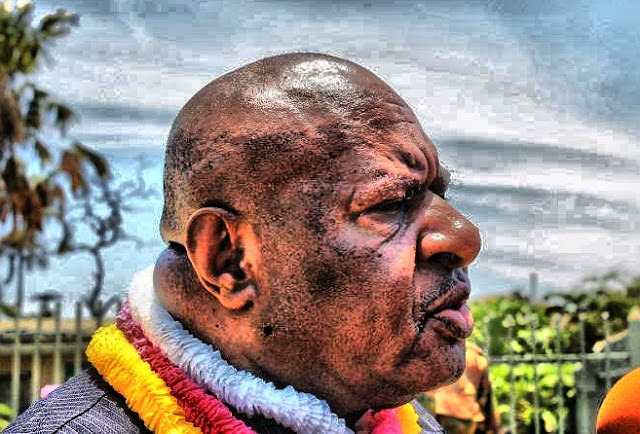 Landowner and former member for Lagaip-Porgera, Opis Papo is supporting the allegations made by Justice Foundation Chairman Jonathan Paraia that the illegal miners were unduly influenced to support Barrick Niugini Limited’s application to renew their SML and other tenements. Mr Papo made the call after reading a report in Post Courier on the 15th of April 2019 at page 25 titled “Barrick refutes claim”. 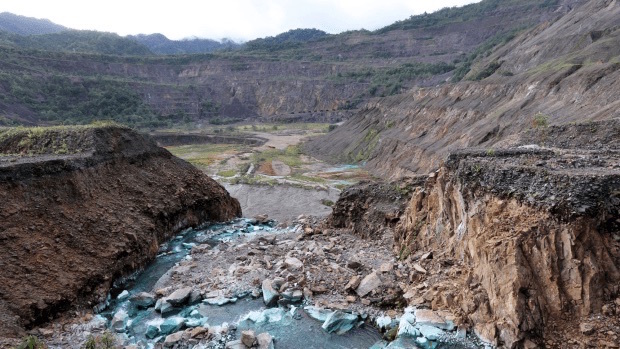 According to the report Barrick Niugini Limited (BNL), the majority owner and operator of the Porgera gold mine has dismissed an allegation describing it as entirely untrue that it supports illegal mining. 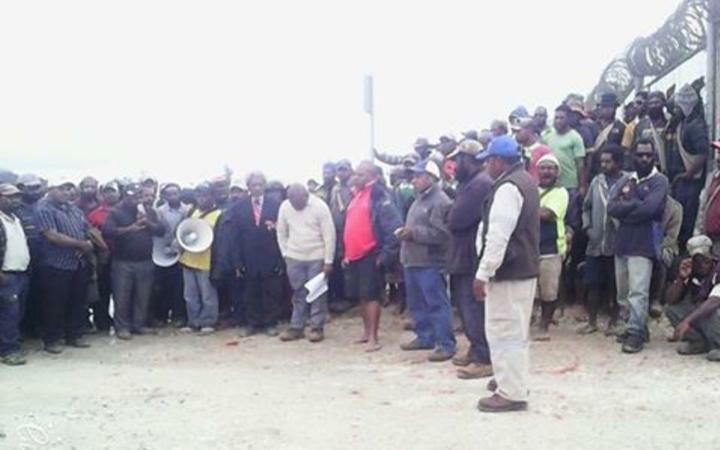 Barrick further said they did not condone illegal mining in any form and has consistently sought in cooperation and partnership with the government to discourage people from engaging in this activity which is not only unlawful but extremely hazardous. However, Mr Papo said that even though everyone in Porgera including Jonathan Paraia and himself do not support illegal mining in Porgera, they are genuinely concerned about the conduct of Barrick in appreciating the illegal miners at the recent wardens hearing at Porgera. 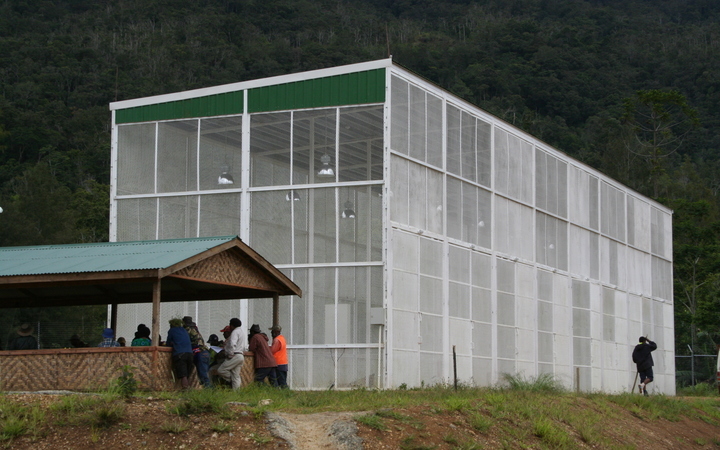 He added that the Government must now conduct an investigation into this incident as it has been spending millions of kina since 2009, to police illegal mining in Porgera and developer Barrick has undermined firstly, the government’s costly effort and secondly such conduct may have breached relevant PNG laws. All around the world we witness mining companies targeting citizens for fighting for the protection of nature. Armenia is in no exception. For years paid media, specialists, as well as recent fake users and pages in social media carried out online discrediting campaigns, especially in Facebook. The case of journalist from Gndevaz – Tehmine Yenoqyan, is extraordinary as the criminal case showed that employees of Lydian Armenia (the Canadian owned company that wanted to exploit gold in Amulsar), were spying on the journalist. I am Tehmine Yenoqyan, resident of Gndevaz village. For about 8 years I am raising the problems of gold mine project in Amulsar, as well as the rights of the locals. 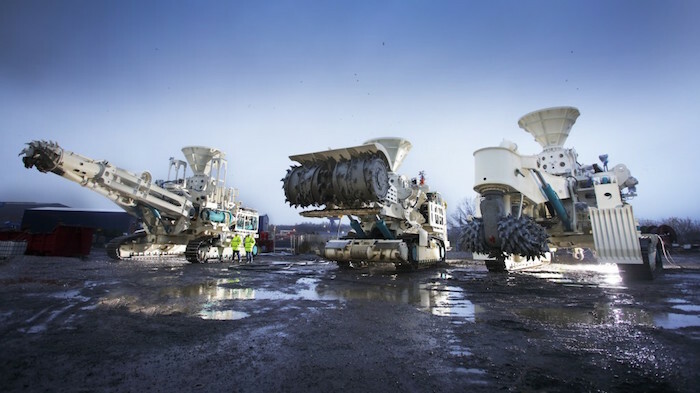 It is no secret that many concerned people, including me, have invested a lot of professional and civic efforts to raise the awareness of the population, to inform about the negative effects of mines, in order the people fought for their rights. All my activities were public. Since June 22, 2018 the residents of Gndevaz and Jermuk have closed the roads leading to mountain Amulsar this way preventing the construction of the destructive Amulsar gold mine, thus protecting their rights through this direct action. I was at my home in Gndevaz in July-August 2018 and I was actively engaged in community activities for Amulsar’s protection. During that period, as well as before and after it, various representatives of civil, political, cultural spheres and individuals have arrived at Jermuk to show their solidarity with the locals and activists. Many of them contacted me for hosting them or helping them with other issues. I was also member of the working group that was formed under the decree of the Prime Minister Nikol Pashinyan, to study the problems caused by mining projects: the first study of this group was gold mine project in Amulsar. As a member of this working group I was also representing the community’s position on this matter, as well as I recorded and published the meetings. The working group had meetings during July-August-September, and I supported the working group as well as informed the members of that group from Jermuk and Gndevaz to ensure their participation in that group. For these activities my home in Gndevaz was open for hosting discussions since the community building in Gndevaz was not an option as a result of lack of trust towards the village mayor. 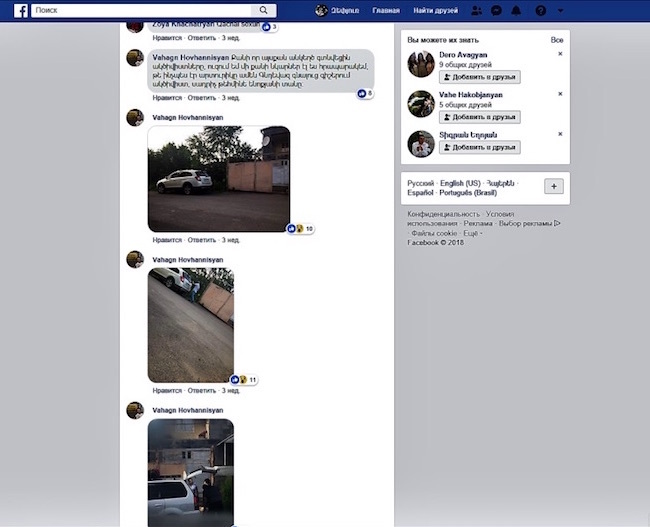 In August 2018 a user in Facebook called “Vahagn Hovhannisyan” (this account no longer exists) who was supporting the mine project in Amulsar, started publishing secretly taken photos of my house, as well as people visiting me in my house with discrediting comments interfering with my personal life and space (this user spread slander and offensive comments about other persons as well). One of the photos was showing the car of the head of Environmental Protection and Mining Inspection Arthur Grigoryan parked in front of my house. The latter had come to Gndevaz and Jermuk on July 17 to ensure the participation of Jermuk community representatives in the working group. I agreed to provide my place for holding one of the meetings. The comments published with the secretly taken photographs completely distorted the reality and were discrediting me. It turned out that my house was continuously targeted with some camera as this photo was not the only one that was published in social media and was discussed there. Thus in September I submitted a report of a crime with the RA Police General Department on Combating Organized Crime. Materials were prepared and a criminal case was launched under the article 144 of RA Criminal Code – illegal collection, storage, use or disclosure of information about personal or family life. It stems from this article that collection, storage, use or dissemination of personal information through public speech, public works or media without approval of that person, if not envisioned by law, is a crime. My demand was to reveal the individuals behind this crime and subject them to liability as prescribed by the law. The investigation lasted from September 2018 to March 2019, during which the Investigative Committee of Yeghegnadzor and Police Department of Jermuk interrogated neighbours living in front of my house and as a result received self-confession testimony from Anna Nersisyan (the inhabitant of the front house, employee of Lydian Armenia) who had photographed my house and illegally collected my personal information. The photographs were then transferred to Hovsep Asoyan through Hripsime Khachatryan. Hovsep Asoyan is also Lydian Armenia employee. I found out from the investigation that the employees of Lydian Armenia carried out organized persecution and illegally collected information about me. According to the testimony, Anna Nersisyan aimed at showing the link between me and Arthur Grigoryan and thus, according to her, the bias of Mr. Grigoryan in the case of Amulsar project. She sent my photographs through Viber application to Hripsime Khachatryan and then they reached Hovsep Asoyan. The latter confessed that he was behind the fake user page “Vahagn Hovhannisyan”, through which he published the photographs and comments. Starting from September when the case was launched, this user was no longer in Facebook. I am suspicious whether it was Anna Nersisyan’s personal interest to show the so called “link between me and Arthur Grigoryan and the latter’s bias”, or she became a tool in the hands of Lydian Armenia. I must highlight that both as a civil servant, as well as in his previous role as the head of an environmental NGO refuting the licences given by the state to this mining company, Arthur Grigoryan had always pursued the public interest and had the official license to check the legality of mine project in Amulsar. During the time when the photographs were taken he ensured the participation of the community and coordinated this process. The investigation revealed that employees of Lydian Armenia and most probably the company itself are behind a campaign in social media through users serving the interests of the company, often times fake users, which create false public opinion and therefore serve for the PR campaign of Lydian Armenia. 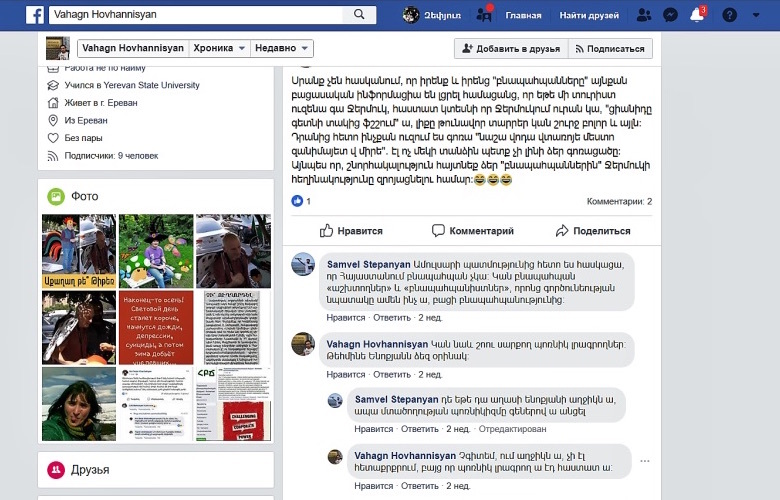 For months the fake page of Vahagn Hovhannisyan published degrading information about environmentalists, residents of Jermuk and generally individuals concerned with this issue. There are other similar users and pages sadly continuing disseminating slander, while the official page, Facebook page and Youtube channel of Lydian Armenia share information of different quality. RA Investigative Committee, however, has terminated the case on the grounds that I was engaged in public activity and that the law on Freedom of Information was applicable in regards with the publication of the photograph and thus the case is liable to termination as a result of absence of crime. I insist on the opposite and have appealed the decision to terminate the case with the RA General Prosecutor’s Office. Similar persecutions by Lydian Armenia are continuous and have affected other citizens, while employees of the company have often provoked the locals, created hostility against environmentalists and protectors of Amulsar, incited conflicts between communities, terrorized and tried to create atmosphere of fear in Jermuk and Gndevaz. During these months locals and environmentalists have implemented the state’s regulatory functions i.e. protection of nature and their rights, for which they have been oftentimes targeted. Lydian Armenia has filed a lawsuit against geographer, member of Armenian Environmental Front Levon Galstyan, lawyer Nazeli Vardanyan, environmentalist, member of Armenian Environmental Front Ani Khachatryan, Hayk Grigoryan and myself, demanding one million AMD per case as a compensation for “expressions that have damaged their business reputation”. The company filed cases against residents of Jermuk and Gndevaz as well. My case showed that employees of Lydian Armenia are themselves using the method of disseminating fake information, and therefore proper investigation should be carried out both in regards with my case, as well as against other users and pages that share discrediting information in social media. This is not only a matter for holding the company reliable for its actions, but also a global issue of protecting the public from discrediting activities of private companies. 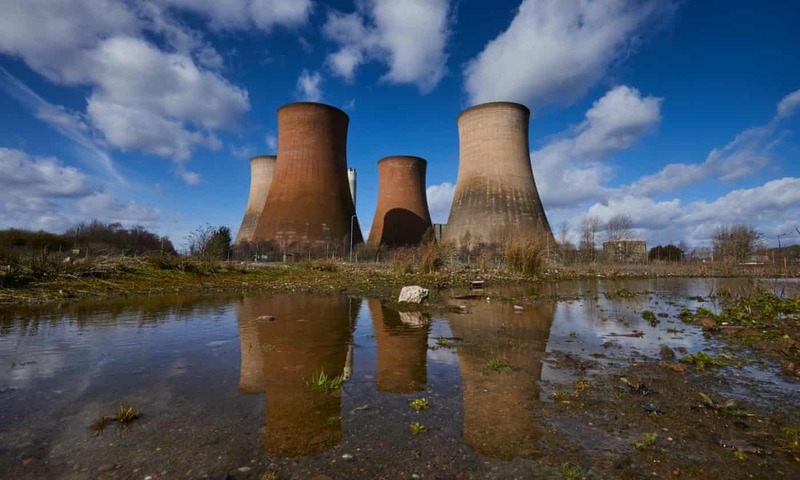 COAL is a cheap hydrocarbon fuel and can be used in the production of goods and services, such as electricity. 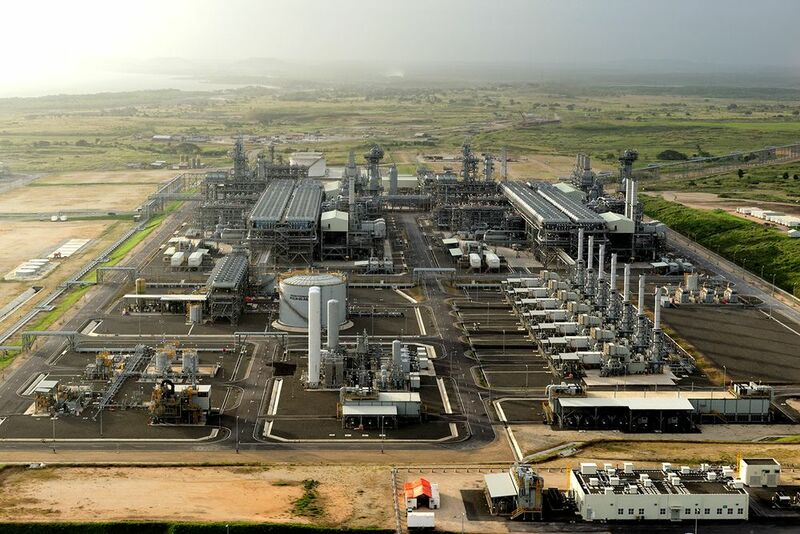 However, this cheap hydrocarbon fuel is also the No.1 cause of environmental pollution and other issues. 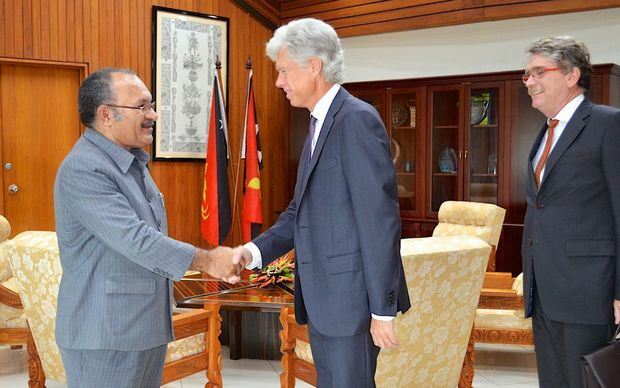 Coal mining and its use in Papua New Guinea should be banned. The following direct and indirect costs of coal use support the ban. Smog produced from the industrial use of coal in cities will increase respiratory and lung problems. Of course, the medical cost of treating the diseases is another consideration against the use of coal. PNG has so much natural resources that can be harnessed to produce cheaper, dependable and clean electricity. Coal is not one of them. The laws on mineral rights must be changed to give real ownership rights to the inhabitants upon where the resources are found and extracted. The mining law gives rights of ownership to the state, and the state, in turn, delegates that ownership right to the developer. After the developer fully exploits the resources and destroys the surface land and all its natural surroundings, it gives it back to the state who then hands it over to the local inhabitants in its useless destructive form, expecting that the inhabitants will use it for subsistence survival. In the whole equation, benefit proceeds are divided as 80 per cent to the developer and 20 per cent to the state. For the landowner inhabitants, there is nothing. All that happens is that out of the state’s 20 per cent, a mere 2 per cent is given as a ‘token’ to the local inhabitants. So you see, there are ethical questions to ask on the formulae of benefits. This also clearly shows that local inhabitants (people) are not recognised as stakeholders at all. The evidence of such unethical law and its aftermath consequence can be seen on Misima Island, after the so-called gold mine project from 1989 to 2004. Our policy experts have to start thinking seriously and to give good advice to our parliamentarians to change the mining laws and the benefit formulas.